Haq's Musings: ICC Big 3: Will Australia, England and India Doom Cricket? Australia, England and India, the three biggest revenue producing nations in the world of cricket, are seeking to remodel International Cricket Council (ICC) along the lines of the UN Security Council. They are making a naked bid to get more money and power for themselves at the expense of the cricket boards of the rest of the ICC member nations including Bangladesh, New Zealand, Pakistan, South Africa, Sri Lanka, West Indies and Zimbabwe. The proposals, written by the ICC's Finance, Commercial Affairs (FCA) committee and leaked to the media last week, calls for the formation of a four-person executive committee, on which the representative of boards of Australia, England and India would be guaranteed a seat. Only one representative from the rest of the cricketing nations combined would be selected by the three boards annually. Would this proposal, if adopted as is, strengthen the sport of cricket? Or would it spell doom for it? Its proponents argue that the new structure would improve governance of world cricket. Cricket Australia Chairman Wally Edwards said " its approach internationally is consistent with its approach at home where we have made significant strides improving the governance of Australian cricket". “They are saying they should have the power because they can bring greater stability but they don’t explain how they are going to do it. This is cloak and dagger stuff. Where’s the transparency? And then they say that each member will be given revenue share in line with the growth of the ICC. They are just lining their pockets". “You can read it yourself. It is clear in black and white. Section one, page three, point E and I’ll quote it ‘Ensuring a fair distribution of revenues, recognizing the contribution of each member to the ICC both on and off the field’. The key word there is ‘contribution’. Well, of course Indian ‘contribute’ more in terms of money than Zimbabwe. But this is totalitarian. This is about the rich getting richer and screw the rest". The world's most successful sports franchise today is the National Football League (NFL) in the United States. It treats all of its 32 member teams equally with equal vote in decision making. Over 70% of its revenue is shared equally among its member teams. NFL has a highly lucrative business because of the extraordinary popularity of football in the United States. Over nine years, starting in 2014, CBS, Fox and NBC will together will pay an average of about $3 billion a year, more than 50 percent higher than their prior deals, according to a report in New York Times. Altogether, the four networks, in addition to DirecTV, which pays $1 billion a year for its Sunday Ticket satellite package, will pay the N.F.L. more annually in TV rights than any sports league has ever been paid. Simon Rottenberg, an economist at University of Chicago, published what is considered as the first significant paper on the subject of the economics of sport, "The Baseball Players' Labor Market" in 1956. He stressed the importance to sporting competition of uncertainty of outcome and distribution of talent: "The nature of the industry is such that competitors must be of approximately equal ‘size’ if any are to be successful; this seems to be a unique attribute of professional competitive sports." This ‘invariance principle’ was because a league in which the strong simply soaked up all the talent would defeat itself. The naked power grab by cricket boards of Australia, England and India is indeed an "Unholy Trinity". It defies the basic economics of sports as described by University of Chicago economist Simon Rottenberg. It results in unequal competition by weakening the majority of the national cricket teams by starving them of needed revenues to train, promote and reward the best and the brightest players. It will badly hurt international cricket. PCB and other cricket boards should strongly oppose it. India generates nearly 70% of cricket revenue and is in affect subsidizing other countries. So what India is asking for is fair. May I remind you that for long Eng and Aus had veto powers and at that time Pakis had no issues with it. Wonder what changed now. Aha, inclusion of arch rival (rival only in their own mind) India. If Pakistan does not like this, there are more than welcome to stop playing cricket. "Failed State" Pakistan has been ranked second in the world in terms of business growth in a survey conducted by the Japan External Trade Organization (JETRO). CB: "The current survey – which examined records of 9,371 Japanese firms operating across the world – put Pakistan just behind Taiwan in terms of business generated; leaving behind both "Super Power" India and G8 nation Japan. JETRO has been conducting such surveys since 2013"
It's titled "Survey of Japanese-Affiliated Companies in Asia and Oceania"
Mulitnational corporations generating more profits in a 'failed state 'then in a 'super power'. Imagine that. A well-informed source told PTI that this amount didn't include the compensation amount of around USD 15 million that PCB got from the ICC after the 2011 World Cup matches were moved from Pakistan due to security reasons. "Interestingly in the revised draft working paper aimed at restructuring of world cricket and ICC governance and distribution of finances among member countries, Pakistan's share will grow significantly in the next cycle of ICC events from 2015 to 2023," he said. "Pakistan's share could cross USD 100 millions if it supports the revised draft paper being pushed by India, Australia and England and which will be put to vote at the next executive board meeting in Singapore on February 8," the source said. He said the PCB had also been told during and on the sidelines of the ICC executive board meeting held in Dubai this week that it could also earn substantial revenues from the new bilateral agreements that will go into effect from 2015. "Under the new draft proposal the old system of Future Tours Program which was supposed to run until 2020 has been abolished. Under the old system all bilateral series on home and away basis were finalized under a fixed formula given by the ICC and all members had to adhere to it," the source said. The source explained that under the new FTP framework all member countries would be free to negotiate bilateral series as they pleased with no interference from the ICC. "Basically what it means is that if Pakistan and India want to play two series in a year they can but under the old FTP framework they had to have a gap of two years. Under the new FTP countries can also refuse to play even once again another country in the eight year cycle," he said. He also explained that the Members Participation Agreement had nothing to do with the new bilateral agreements and pertained to all member countries who participated in ICC events. "The MPA is for all member countries to sign to play in ICC events. Until now it has still not worked out what modus operandi will be followed to give legal guarantee of money and matches to any country when they sign bilateral agreements specially if it comes to countries like Pakistan and India," he said. May I remind you that Pak's current reserves of dollars is considered critically low. When was the last time Pak has to be bailed out by IMF to pay its bills: 23 days ago. (or may by 46 days ago). Now is the point clear? What point was clear? that Pakistan like European countries need IMF bailout after recent global financial crisis, while India has the honor being one of the biggest net recipient of aid since it was created in 1947. Super power India has received more World Bank aid than any other developing country in the postwar period.Super power India is 2nd largest recipient of WTO Aid-for-Trade. I am an Indian and I agree the BCCI, full of rich politicians and industrialists, is behaving like a drunken beast whose sole concern is money. It does nothing whatsoever to improve cricket facilities in India, being more than content to eat, drink and crap out money. The ECB and CA have unfortunately fallen prey to the BCCI's evil plans of treating cricket like a cash cow and cricket as a result will suffer due to this plan to carve it up into three mighty pies. While that bit is accepted, I've read your blog for too long to be fooled by your newfound concern for the future of cricket: had this been the PCB instead of the BCCI in this diabolical plan, you would have been crowing from the rooftops about Pakistan's prestige and influence and all the future gold that would come into the PCB's kitty, literally and metaphorically. Your understanding of cricket is such that I remember you gloating about Pakistan's good T20 performances some time back while saying that T20 was where the future lay, or words to that effect. When a commenter reminded you that they were flailing in test cricket, your reply was that test cricket was an old format with declining popularity, so not doing well there hardly mattered. Mukul Kesavan on why the BCCI cannot reform:'Conflicts of interest can be fixed; servility is a permanent condition'. The uncompromising ‘go, or else’ tone, the unusually strong language and the startling suggestion of impropriety seemed to spring from the bench’s exasperation with Srinivasan’s refusal to step aside as president for the duration of the investigation. The judges believed that the investigation into the fixing and betting scandal involving Srinivasan’s IPL club franchise, the Chennai Super Kings and his son-in-law, Gurunath Meiyappan, couldn’t be fairly conducted while he remained in office. The story of the CSK scandal has been the chronicle of a fall foretold. If the Supreme Court had intervened decisively a few years ago, there mightn’t have been a scandal at all. The large reason why matters came to this pass is this: Indians have the greatest difficulty in agreeing upon what constitutes a conflict of interest. The squalid sequence of events that culminated in the CSK scandal was set in motion, ironically, when the BCCI decided to amend an excellent provision in its constitution expressly intended to insulate Board officials from conflicts of interest. The clause laid down that “No administrator shall have, directly or indirectly, any commercial interest in the matches and events conducted by the Board”. 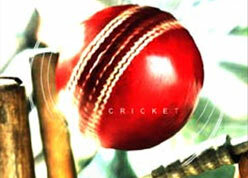 The amended version specifically excluded the IPL, the Champion’s League and Twenty20 cricket. This amendment was passed retrospectively, eight months after the inaugural bidding for the IPL franchises, to regularize N. Srinivasan’s ownership of the CSK franchise. When A.C. Muthiah, a former president of the BCCI moved the Supreme Court arguing that an administrator of the cricket board shouldn’t be allowed to own an IPL franchise because of the obvious conflict of interest, a two-judge bench of the Supreme Court delivered a split verdict. This meant that till the matter was resolved by a larger bench of the court, Srinivasan was free to simultaneously own CSK and function as president of the BCCI. Justice J.M. Panchal was one of the judges on the two-judge bench that delivered the split verdict. His reasons for rejecting Muthiah’s petition are instructive. He ruled that no conflict of interest existed because a) no member of the BCCI or franchisee had objected to the amendment, b) the rules were framed long before the IPL was conceived of and therefore didn’t apply and c) the BCCI had suffered no financial loss because of the “so-called conflict of interest”. Narayanaswami Srinivasan marked his controversial ascent to the chairmanship of the International Cricket Council by protesting his innocence of any wrongdoing in the ongoing corruption case in India. Srinivasan stood aside as president of the Board of Control for Cricket in India earlier this year, having been compelled to do so by the country’s supreme court during its match-fixing investigation into the Indian Premier League. But on Thursday, having already been nominated as the governing body’s first all-powerful chairman at an executive board meeting in February, he was unanimously voted into the role by the 52-member full council at the ICC annual conference. His so-called “big three” counterparts – Cricket Australia’s chairman, Wally Edwards, and the England and Wales Cricket Board chairman, Giles Clarke – will lead the newly formed executive committee and the financial and commercial affairs committee, respectively. Plans to reorganise the distribution of ICC profits, which promise greater overall income but also a greater proportion of funds diluted into the coffers of India, Australia and England, will now go ahead. Critics, who are thick on the ground, have characterised the constitutional shift as a self-interested power grab by the three boards but it is Srinivasan’s elevation to the top job that has proved the real lightning rod for indignation. As the owner of the Indian Premier League franchise Chennai Super Kings, he has been investigated as part of a spot-fixing inquiry that has already laid charges against Srinivasan’s son-in-law, Gurunath Meiyappan. Srinivasan attempted to use the occasion of his appointment as a chance to lay out an agenda for inclusivity and growth in the world game but ended up making a staunch personal defence of his own character. “The [supreme court] committee made a report, which did not involve me, but they had been given a sealed envelope in which they said there were some unsubstantiated, unverified allegations made by some people, which the court is looking into. I said I’ll voluntarily step aside [as BCCI president] during that period. “Now, as far as I’m concerned, I have done nothing wrong. There is no wrongdoing on my part and therefore my conscience is very clear that there is no taint on me. My son-in-law, there are some charges against him. He has to defend himself in court. It’s a question of it’s going to be proved or not proved but that’s up to him. The BCCI’s secretary, Sanjay Patel, heralded Srinivasan’s appointment and lauded him as the ideal candidate to take charge for the two-year period up to 2016. “As India takes the leadership position in world cricket, the responsibility of guiding the game in these challenging times could not have found a better leader than Mr Srinivasan,” said Patel. The Federation of International Cricketers’ Associations, which took a hard-line stance to the proposals when they emerged in February, were not available for comment. Following the conference, at which Bangladesh’s Mustafa Kamal was named the ICC president, the Pakistan Cricket Board claimed to have secured significant gains behind the scenes. A PCB statement revealed it had been awarded the fourth largest share of ICC revenue after the big three – a move sure to be met with incredulity by Cricket South Africa – as well as finalising the details of six bilateral series in eight years with India. The PCB chairman Najam Sethi, who led negotiations, said: “The PCB had organised itself and planned to get maximum advantage for Pakistan cricket from an extremely precarious position. The ICC has, in principle, passed a new constitution that undoes much of the imbalance in power and finances the Big Three had attempted to create in 2014. But in practice it may require more negotiations, particularly on a new revenue-distribution model, before it becomes the new reality. A final decision on that will be taken at the ICC Board's next round of meetings in April. Ten of the 13 ICC Board members present on Saturday (the three Associates representatives' do not have voting rights) voted in favour of the new draft constitution, which puts forward a new governance and financial model. The BCCI, which stands to lose the most in projected ICC revenues under this model in the post-Big Three world, objected, and made its reservations public through a release. ESPNcricinfo understands Sri Lanka Cricket (SLC) also voted against the new model while Zimbabwe Cricket (ZC) chose to abstain from voting. The new constitution and governance structure, including a new revenue distribution model, was prepared by a five-man working group led by ICC chairman Shashank Manohar. The group, which started work last February, had consulted the Full Members as well as the Associations before drafting the new model. The new financial model, the details of which remain a closely guarded secret, was always expected to be a sticking point in today's meeting - given the lack of time the BCCI representative Vikram Lamaye had to prepare for the meeting (he was handed the BCCI role by the Supreme Court of India only on January 30), even more so. Various estimates have placed the BCCI's projected cut in ICC earnings anywhere between US$150 million and nearly US$300 million for the 2015-2023 ICC rights cycle. The ICC said the basis for the new financial model was developed based on certain "guiding principles" that included "equity, good conscience, common sense and simplicity" among others. However the BCCI, represented by Limaye, voted against the proposed new constitution and revenue model. Explaining the reason for its stance, the BCCI said the Court's newly appointed Committee of Administrators, of which Limaye is part, had insufficient time "to take an informed view on the said proposal". The BCCI specifically questioned the science behind the projected figures arrived at by Manohar's working group. Ironically this was a concern for many members opposed to the original Big Three revenue distribution model. "At the ICC Board meeting today in Dubai, there was an agenda item for discussion on a proposed new financial model and governance structure of the ICC," the BCCI said in a media release. "The BCCI representative, Mr Vikram Limaye expressed his concern over both the documents especially in light of the insufficient time available to the Hon'ble Supreme Court-appointed Committee of Administrators to take an informed view on the said proposal, and also there being no scientific basis behind the percentage distribution allocation that was being proposed other than "good faith and equity". With the majority of the International Cricket Council (ICC) board members voting in favour of a rollback of the structure under which India was to get the lion’s share of the revenue, the Board of Control for Cricket in India’s last ditch efforts to garner support failed. India managed to get the support of Sri Lanka but it was clear that the majority of the Test nations were not in favour of the Big Three structure. The two BCCI office bearers — treasurer Anirudh Chaudhry, joint secretary Amitabh Choudhary — who travelled to Dubai (the BCCI was represented by the Supreme Court-appointed administrator Vikram Limaye) for the ICC board meeting could not convince the other board members to defer the voting till April. The ICC will now pass the resolution during it’s next Board meeting in April. According to a BCCI official, India is hopeful of convincing two other members to support them before the resolution is passed during the next ICC Board meeting in April. The Big Three — in which India, Australia and England — were entitled to 27.4 per cent of the total revenue from 2015-2023 cycle with India getting 20.3 percent was proposed in 2014 by the then BCCI president N Srinivasan in 2014. CRICKET’S global governing body has received a thumping mandate from its members to proceed with a broad restructure aimed at curbing the dominance of the “Big Three” — Australia, India and England. The sweeping changes were passed in a unanimous vote during a meeting at the International Cricket Council (ICC) headquarters in Dubai, the governing body said in a statement Thursday. The shake-up amends the ICC’s constitution and financial structure so that revenue is more equitably distributed among members and less power is concentrated in the hands of the “Big Three”. It reverses a much-criticised ICC decision in 2014 to relinquish more control to Australia, England and India, the world’s most powerful cricketing boards. The restructure was agreed to in principle in February by the majority of Test playing nations — including England and Australia — but India opposed the proposal. The Board of Control for Cricket in India stands to lose $277 million revenue over the next eight years under the changes, with more flowing to minor Test nations and associate members like Ireland and Afghanistan. t started with money, and it has ended with money. The "Big Three" financial model drawn up by the boards of India, England and Australia unveiled amid much consternation three years ago is no more, replaced by a plan to vastly reduce the BCCI's share of ICC revenue and offer identical amounts to seven of the game's Full Member nations. After a week of intense negotiations that saw the BCCI's opposition to change outmaneuvered by the collective will of the rest, the amount of ICC revenue to be handed out to each nation is now as follows. The BCCI will receive US$293m across the eight-year cycle, the ECB US$143m, Zimbabwe Cricket US$94m and the remaining seven Full Members US$132m each. Associate Members will receive total funding of US$280m. While this distribution is not a complete rollback to the equal funding from ICC events that Full Members used to receive, it is a considerable distance from the US$440 million the BCCI stood to earn under the Big Three model. The distribution to the ECB has reduced marginally from around $US150 million, while Cricket Australia's share is similar to what it previously received, albeit now in line with those afforded to South Africa, Pakistan, New Zealand, Sri Lanka, Bangladesh and West Indies. These changes were passed by 14 votes to one, with the BCCI the sole dissenter. Battles over the ICC events financial model have been drawn out over a period of years, starting with the ascension of Shashank Manohar as the governing body's chairman following the exit of his predecessor and rival N Srinivasan, widely considered the Big Three's chief architect. Manohar stunned the cricket world by stating his intent to resign earlier this year, but was cajoled into staying on until the ICC annual conference in June, where the above changes are set to be ratified. "This is another step forward for world cricket and I look forward to concluding the work at the Annual Conference," Manohar stated in an ICC release. "I am confident we can provide a strong foundation for the sport to grow and improve globally in the future through the adoption of the revised financial model and governance structure." LAHORE: The Pakistan Cricket Board’s (PCB) annual budget to the tune of Rs 4.5 billion (US$ 43 million) has been approved by its Board of Governors (BoG). Talking to reporters after the BoG meeting, PCB chairman Shaharyar Khan claimed that almost all short-term and long-term plans envisaged by the PCB in the wake of poor performance of the Pakistan team during the last World T20 and Asia Cup T20 had been implemented in order to resurrect the game of cricket in the country. Shaharyar said though the budget amounting to Rs 4.5 billion was approved, the PCB would try its level best to reduce its expenditure. “There was extensive debate on the budget but finally it was approved,” he said. Shaharyar said that after the disappointing performances in the last Asia Cup T20 and World T20, the PCB had taken several decisions to bring back Pakistan cricket on the right track. “We informed the BoG that short-term plans have fully been implemented, since a new selection committee has been formed by appointing Inzamamul Haq as the new chief selector, apart from replacing Shahid Afridi with Sarfraz Ahmad as T20 captain and relieving Waqar Younis to hire Mickey Arthur as head coach,” added the PCB chief. “And to bring improvement in fitness, a boot camp was held successfully in Kakul recently. Also, we have received reports that the camp in Abbottabad was very successful due to which it has now been decided that such camps will be held every year to promote fitness culture,” Shaharyar further said. Talking about the PCB long-term plans, the chairman said: “Under the long-term plans 95 percent work has been completed with Mudassar Nazar being appointed as director academies. He will join the academy from Tuesday (tomorrow). Mudassar, the chairman said, was a very experienced and suitable person to run the academies, adding that the director academies would also set up new academies across the country. He said that separate school, club and university cricket programmes had almost been finalized, adding that around 1,000 schools both from private and government sectors would be competing which would help enhance the base of players to 10,000. “The PCB is trying to get sponsors for the regional bodies too.” The BoG also welcomed newly appointed head coach Mickey Arthur and had asked the PCB to fully support him. Shaharyar also said the BoG decided that coaches, trainers, players and other support staff of the national team would be given reasonable targets to achieve in the six-month time period. “After every six months, the target will be reviewed in order to analyze the performances. However, there will be no action against anyone if the targets are not achieved,” he pointed out. Nonetheless, fresh targets will be given as part of a review course. Similarly, head coach Arthur will also be given targets. He said the BoG admitted that the standard of pitches and grounds in Pakistan was not matching up to the international standard. “The BoG has vowed to give special attention to bringing improvements in pitches and grounds. Our pitches are dull and not up to the mark. All over the world the ball carries to the chest level of the wicketkeeper at fast tracks but we hardly observe such things in Pakistan,” he lamented. Talking about changes in the domestic structure which could not be put on the right track even after many decades, the chairman said that now it was decided that eight teams each of regions and departments would play separately in the National One-day Championship. “In the four-day format, there won’t be any change. T20 tournaments will only be held on regional level.” The decisions, said the chairman, aimed at improving the quality of the domestic cricket. Pakistan Super league (PSL) chairman Najam Sethi on Tuesday disclosed that a profit of US$2.6 million was made on the first edition of the league and termed it as “a great achievement for the Pakistan Cricket Board (PCB)”. While the PCB BoG was reluctant to give Sethi the green light as they feared huge losses on a heavy investment, the profit earned now means Sethi has cemented his place as PSL chairman. “I promised I will disclose details of the PSL funds,” he said. “We were successful in every aspect — the ratings were high, thanks to our state-of-the-art production, while our upcoming players got an opportunity to rub shoulders with the top players in the world. He said while the league wasn’t able to meet the targets of gate money (US$6 million to US$7.5 million), they made good money through the broadcast of the event after buying the airtime of three television channels. “We expected broadcasting rights to sell to the tune of US$15 million but it all went wrong after Ten Sports offered just US$2 million, which persuaded the PSL to make their own production arrangements. “We earned US$9 million from the broadcast of the league,” he said. Sethi added that the PCB BoG had allowed the PSL to include a sixth franchise from the next edition even through there were “objections from the other five franchises” but “they could be convinced”. “Although we had decided to include a sixth team from 2018, looking at the success of the inaugural edition, the BoG members have allowed us to induct a sixth team from 2017,” he said. Pakistan was the among the last Test playing nations to host a T20 league, but still attracted some big name including Shane Watson, Dwayne Smith and Chris Gayle in the first season, and a whole lot of viewership from the nation’s cricket fans. In the IPL, a team can acquire players through five ways: annual auction, signing domestic players, signing uncapped players, trading players, and signing replacements. PSL, on the other hand, holds a draft where players are categorized in five groups – Diamond, Silver, Platinum, Gold and Emerging. Since its inception in 2008, the Indian Premier League has had at least eight teams in every season. The PSL on other hand, has just five teams - Peshawar Zalmi, Islamabad United, Lahore Qalandars, Quetta Gladiators and Karachi Kings. The IPL has always boasted of encouraging young cricketing talent from around the nation, and allows no more than ten overseas players out of the maximum of 27. The Pakistani league on the other hand, has a restriction of only four foreign players and a minimum of 12 local ones. The Pakistan Super League comprises just 24 matches, with each team playing the other twice. Therefore, the event ends in less than a month. The IPL on the other hand goes on for over a month, keeping the audiences engaged for a longer period. This year the IPL season will start on 5 April and end on 21 May while PSL will go on from 9 February to 7 March. The winners of the 2016 IPL got a staggering Rs 20 crore ($ 3 million), an amount that was the total prize money in its first edition. The PSL on the other hand, offered a million dollars in total as the prize money in its first edition. Even during their respective first teams auctions, the total money generated in the IPL was $723.5 million as opposed to PSL’s $18.6 million.